Glass jars are one of my most favorite things to hoard. I mean repurpose. First, because they are free, and secondly, because they’re pretty! There is some sort of classic vintage aesthetic that comes with mason jars that I love. 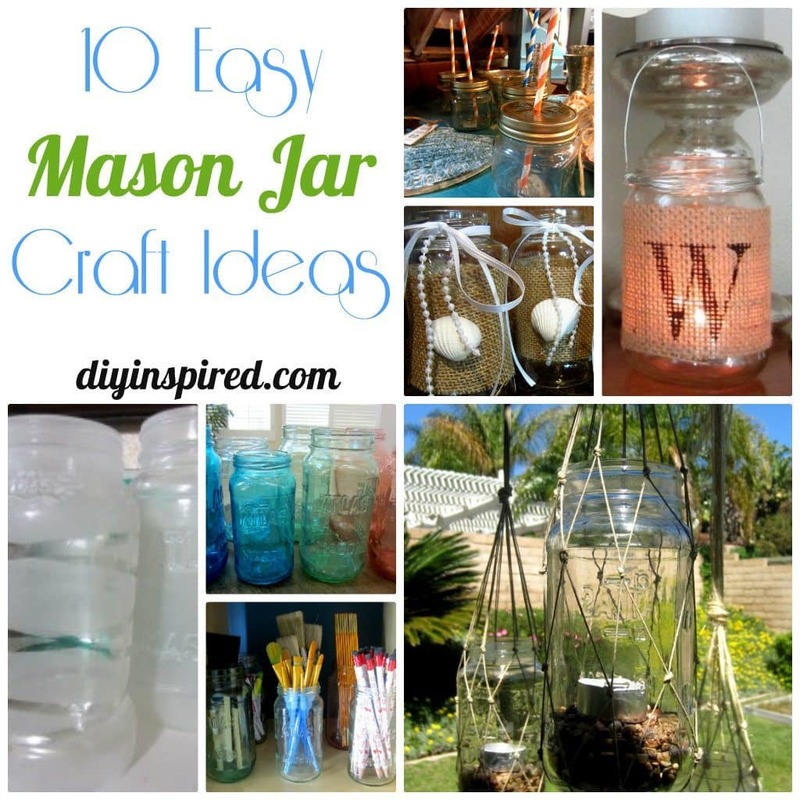 I have done quite a few Mason jar crafts in the last two years so I thought I’d put together a round-up of 10 Mason Jar Craft Ideas. This Mason jar tea light is a fun and easy stenciled burlap tutorial that makes a perfect DIY gift. A run-down of craft storage and organization ideas including Mason jars for easy access see-through display. Color your own glass jars with food coloring and glue and curing them in the oven. Always have clean Mason jars ready for simple holiday displays. Burlap covered jar vases embellished with sea shells , ribbon, and pearls for a Baptism reception party. This one is a complete step-by-step tutorial by guest Blogger, Barbara from Chase the Star. Learn how to make macramé hanging lanterns perfect for a wedding or outdoor lighting. A personalized gift idea with decorative knobs and Mason jars. How to frost Mason jars. 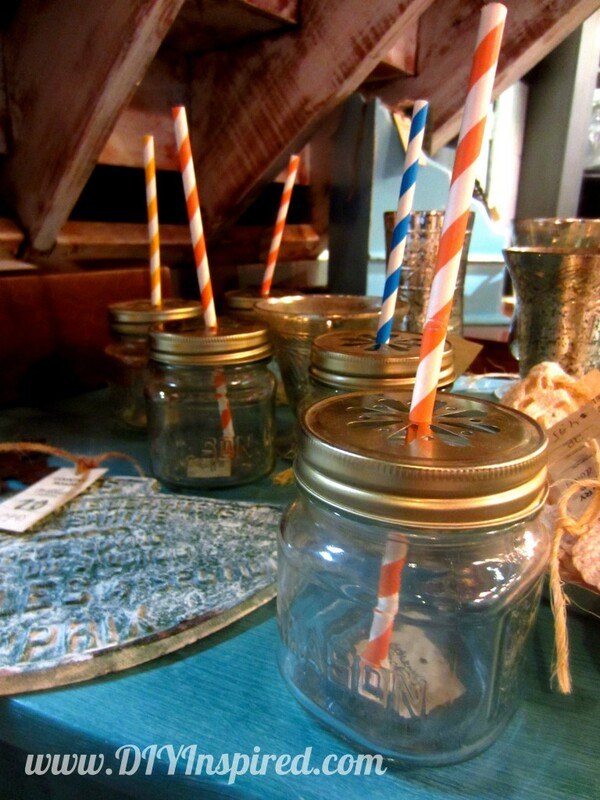 Lastly, here is a fun idea using Mason jars and colorful straws for parties and entertaining. I hope you enjoyed my round up! What do YOU do with your Mason jars? Do you have a project you’d like to share? Submit your DIY Projects or crafts for a chance to be featured on DIYInspired.com! Great ideas. I know it’s not same day, but I liked your sponsor’s FB page. Thank you so much LuAnn! I truly appreciate the support!